The importance of a teacher or a guru or mentor should never be undermined in this life, according to The Bhagavad Gita. We need to learn the truth of life and be guided by our mentor at every stage of our life. Choose a knowledgeable mentor. Be humble to him, but ask him any question that may arise in your mind during the journey of your life. Clear all your doubts. The self realized soul (your guru), who has experienced the truth will impart all knowledge to you. “When you have learnt the truth or known life in the real sense, you will see that all living beings are but a part of Me (an Ansh, maybe a drop in the ocean). In fact I am the ‘whole’ of the living souls. When you have acquired such knowledge of ‘self’, you will find that neither any worldly difficulty nor any challenge can deter you from your mission; no pursuit of futile material pleasures will tempt you away from your path of righteousness,” said the Lord. 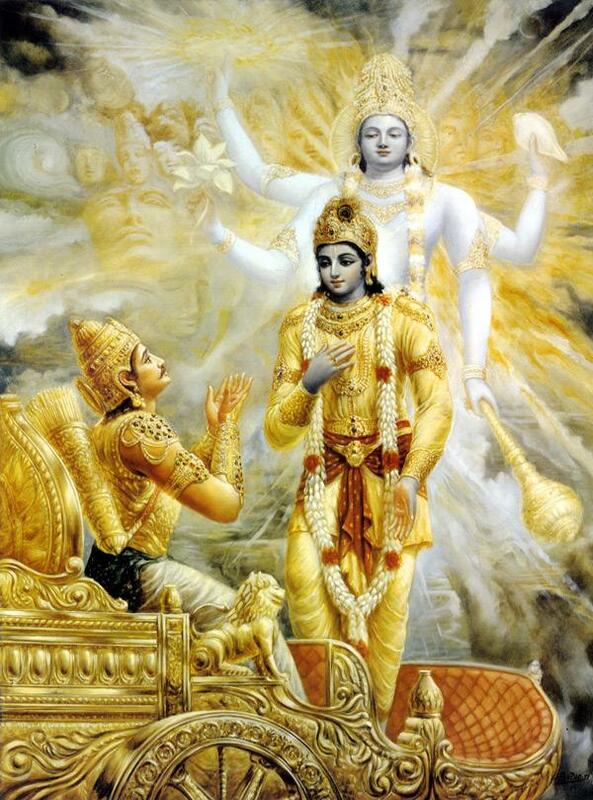 All the sins stand burnt away by the purging fire of the transcendental knowledge, according to Lord Krishna. Lord the Almighty, God is always present everywhere. Such an awareness keeps us blessed, and also keeps us motivated. 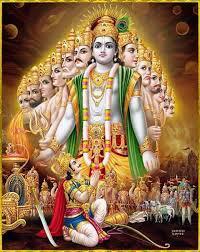 Whenever righteousness is overpowered by the evil, Lord manifests in bodily form. The world is a battleground where Evil and Good are always fighting each other. They are invariably on a warpath. It’s only at a time when righteousness diminishes though never extinct, Lord appears to correct the balance. Undoubtedly the birth and activities of the Lord are divine and beyond the compression of an ordinary human being. Just its awareness helps us to choose the path of righteousness and maintain our peace. History tells us that whenever there is excess of anything, change emerges in the form of a revolution to bring back the balance. We also find that with the passage of time and many generations the strong becomes weak and the weak becomes strong. This is true for families, communities, societies and even countries. Lord Krishna explains that the Karmayogi detaches himself from the petty worldly affairs. Devoted to the performance of his own duty, he remains satisfied with what he receives in return. Such an attitude enhances the efficacy of his actions. He transcends the petty pangs of the elemental human emotions like joy, grief, worry, uncertainty etc. These do not detract him from the path of performance of his duty. He remains balanced in success or failure like a scientist who keeps on acquiring knowledge from the study of cause and effects. His is a free soul which is not restricted by the perceived limitations. Further, he rises above the pettiness of ego and doesn’t claim anything as his own. His mind finds solace in the knowledge of ‘self’. All his efforts are directed towards the cause of upliftment of society as he discovers peace and happiness in such endeavours. Lord Krishna, “Whatever actions and whichever way a nobleman performs his duty; the example is followed by the common man. I this manner, certain standards are set on the basis of which ordinary human beings carry out their work. The noble person leads others by example. There is no duty prescribed for me. There is nothing in the world that I need. Yet, I am engaged in work. If I don’t do any work, human beings will follow my example. They will also not do anything. In such a situation, when nobody works, the world will be ruined. Therefore, even for Me performance is necessary. If there are no jobs for the people in the world, can there be any peace? 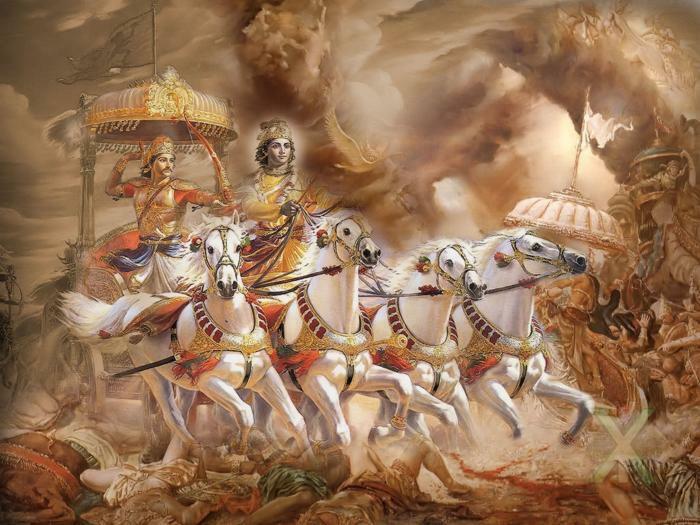 In the first chapter of The Bhagavad Gita, Arjun overwhelmingly tells Lord Krishna that he doesn’t want to fight with his own relatives. He philosophises his decision putting forth imagined arguments like it is not good for their larger family and not in the interest of humanity. In the second chapter Lord Krishna describes qualities of and differences between ‘Karmayoga’ and ‘Sankhyayoga’ and also the characteristics of ‘Stithpragya purush’ or stable minded person. 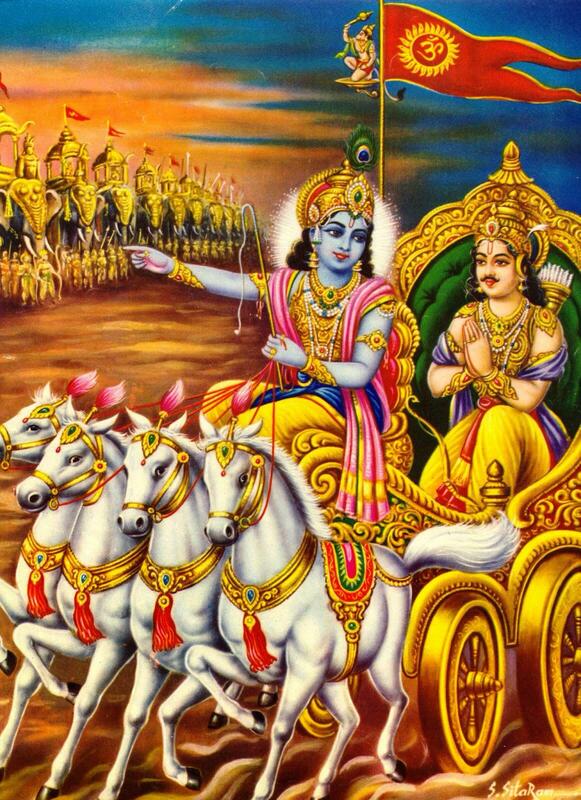 In the third chapter the Lord talks about ‘Karmayoga’ and why Arjuna should follow the path of ‘Karmayoga’. 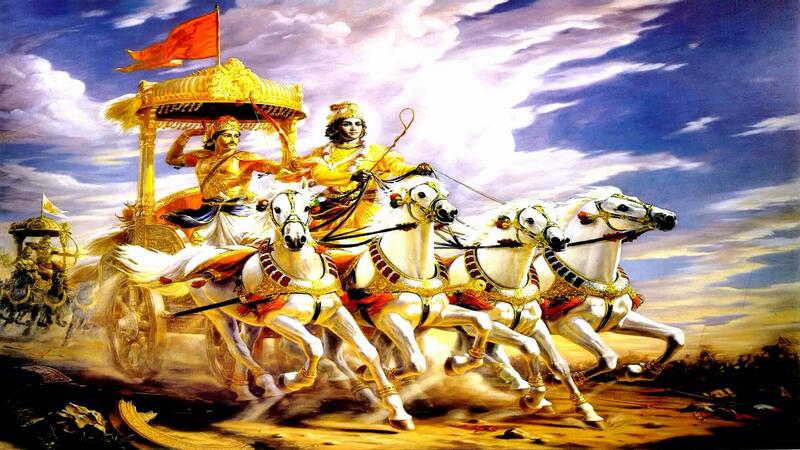 Lord Krishna explained to Arjuna that in ancient times people who were seeking liberation were performing their duties. Just as those wise men, Arjun should also, following their example, carry out his work. Further, Lord Krishna said, “What is action and what is inaction is a question that has bewildered even the intelligent and the wise. Let me explain the facts regarding action and inaction. Inaction in this context is not lack of action due to laziness or any other reason. Inaction here simply means lack of your expectations from your efforts. Without expecting if a person performs his duty; it amounts to inaction in his action. This is desirable.